You are here: Home / Health / Understanding Common Truck Accident Injuries. 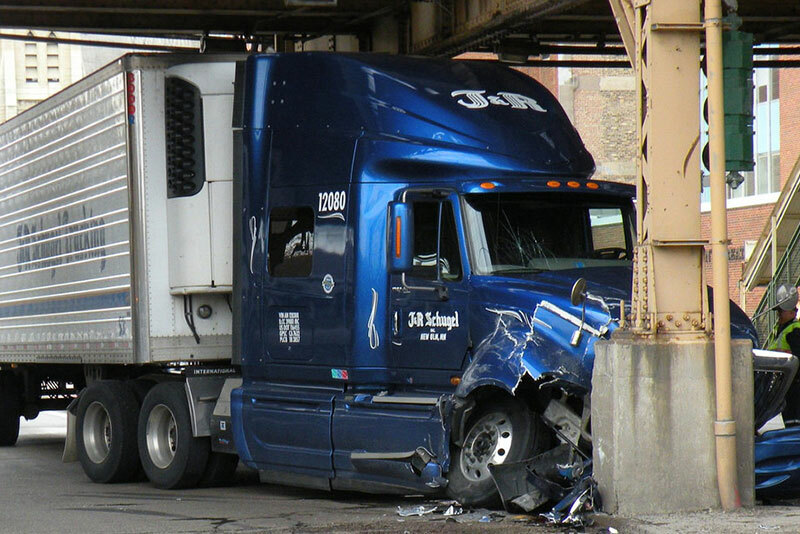 Understanding Common Truck Accident Injuries. (ThyBlackMan.com) Having to share roads with commercial trucks probably makes many of us nervous. Truck accidents can cause horrific injuries and even death. Up to 97% of vehicle occupants killed in crashes involving passenger vehicles and large trucks were occupants of the passenger vehicles. Aside from the physical trauma that victims face, there are other injuries they sustain. Below, we’ll have a look at some of the most common injuries resulting from truck accidents. Spinal cord injuries are some of the most common among passengers of smaller vehicles who are involved in accidents with large trucks in Houston and other cities across the U.S. The impact of a crash is a major leading cause of fatal back injuries, as it dislodges, fractures, crushes or compresses the vertebrae, dealing a traumatic blow to the spine. The permanent damage to the nerves in the spinal cord, often lead to permanent or temporary paralysis, leaving many of the victims with major life adjustments, expensive medical bills and lifelong treatment. Whichever case, accident victims are always advised to seek immediate medical help after an accident, even as they consult a Houston semi truck accident lawyer. Fractured bones are a common injury in most truck accidents. The force of impact from hitting windows, airbags, the steering wheel or other car parts often causes bones to shatter, split or crack. While bone fractures can heal over time, some leave patients suffering for long. Common fractures include broken arms and legs, fractured hips and cracked skulls. Victims end up having multiple surgeries to remove, secure or realign bones or bone fragments. Depending on the severity of the truck accident, brain or head injuries could have a wide range of psychological and physical effects. From serious head injuries to mild or severe concussions, the extent of traumatic head injuries may not be understood or known immediately. Symptoms can occur immediately or even take days or weeks to appear. Even if your head looks fine, potential problems could arise from internal bruising or inflammation of the brain. According to the Center for Disease Control and Prevention, 153 Americans die every day from traumatic brain injuries. Serious traumatic brain injuries in the long term can cause major mental complications and death. Cuts, puncture wounds and lacerations are other common injuries sustained in truck accidents. Most of these injuries are caused by debris such as shattered window glass, resulting in scarring, excessive blood loss, infections and nerve damage. Permanent scars can alter a victims appearance causing psychological problems. The stress associated with being involved in a truck accident can cause mental or emotional trauma, including post-traumatic stress disorder or PTSD. As noted by the National Institute of Mental Health, 7 to 8 people out of every 100 people experience Post-Traumatic Stress Disorder at some point in their lives. PTSD develops when someone suffers a horrifying, scary, shocking or traumatic event like a trucking accident. Symptoms of PTSD from a trucking accident can include nightmares, flashbacks and severe levels of anxiety, which impacts normal functionality and day-to-day routine for victims. A Report by the National Centers for PTSD notes that up to 9% of all auto accident survivors develop post-traumatic stress disorder and related issues. Accident victims who have sustained severe injuries in a collision go through a lot of physical, emotional, psychological and financial stress. Consulting an experienced and reputable local trucking accident lawyer immediately after an accident is highly advisable. A reliable lawyer has extensive knowledge of trucking accidents and the resources needed to investigate your claim. Working closely with your trucking accident lawyer will ensure that you recover the damages and compensation you deserve for the emotional and physical damages you have suffered. Accident lawyers offer free consultations and charge a contingency fee of 33.33% of the total settlement or compensation paid once your personal injury case is resolved.